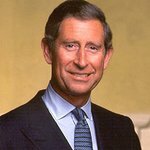 Prince Charles and the Duchess of Cornwall attended a massive charity rock concert in London last night to benefit the Prince's Trust. Phil Collins, Tom Jones, Jamie Cullum, Eric Clapton, Queen's Brian May and Roger Taylor, Status Quo, Live Aid creator Midge Ure and many others hit the stage at the Royal Albert Hall on November 17 for the charity’s Rock Gala 2010. The evening was hosted by comedian Rob Brydon, Barry Humphries as his hilarious alter ego Dame Edna Everage. The show was filmed in 3D for a future release. In the 1980s The Prince’s Trust was synonymous with the Rock Gala. The fundraising concerts were created when the UK economy was gripped by inflation, strikes and high unemployment following recession. Britain’s youth had little hope and no future. 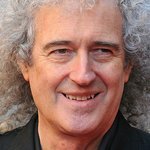 The Trust called upon supporters including Paul McCartney, Mick Jagger, Brian May and Tina Turner to form ‘super groups’, raising money to help the most disadvantaged young people. To celebrate the show, the Trust is currently holding an online celebrity charity auction, with some iconic musical items going under the hammer. Among the lots are a drumhead signed by Mark Knopfler, a book of photos signed by Kylie Minogue, a photograph of Annie Lennox taken by Bryan Adams, a drumhead from Phil Collins, and a lithograph of the Sgt Pepper’s Lonely Hearts Club Band album signed by photographer Peter Blake. A bass guitar signed by Sting and handwritten lyrics from Elton John's new album with Leon Russell are also up for auction. The auctions end on November 21, and can be accessed here.